Welcome back to Breadmaking 101. For those of you just tuning in, this column is all about bread, and how to make it yourself in your own home. If you haven't read our previous posts, first check out our recipe for a basic bread loaf. Earlier, we discussed how to mix dough with confidence and purpose. Then, we let our dough rise, learned how to fold with intention, and talked about fermentation. We'll be using a lot of the vocabulary from our previous posts throughout this article, so if things sound fuzzy, don't hesitate to look back at the whole series of breadmaking techniques. But today is baking day, which means we're going to discuss how to bake that basic, workhorse loaf into a gorgeous, chewy-crunchy-aromatically-hypnotizing marvel. I love baking. Baking is where dough is transformed into bread: one of the oldest and most essential foods on the planet. It's the culmination of all our hours of work and waiting. Baking day is like science-fair day, Feast Day, and Judgment Day, all making a love child together. (Only there won't be any judging here—just learning.) Baking is magic and science all in one. Baking isn't just a big party, however. As bakers, we still have a lot of work to do. That's why today, we're going to discuss what equipment we need, how to score bread, talk all about what really goes on inside our ovens during baking, and how those processes transform dough into bread. And so, before we get into the practicalities of actually loading our loaves into the oven, let's take some time to talk about how we know when—the big WHEN—to load our dough into the oven, and take stock of what it means to properly proof bread. This post is nice and long, so feel free to peruse at your leisure or jump straight to one of the categories in our index. When we last left off, we'd just finished shaping our dough into boules, and placed them into bannetons to undergo their final rise, or proof. We then transferred them into a refrigerator so that they'd proof more slowly (also called retarding our loaves), to enhance flavor and make them easier to load for baking. If we look at the above workhorse bread recipe, we see that this dough requires a final, retarded proof of approximately one hour to 90 minutes. But bread isn't always obedient, and time isn't really the issue here. Setting an alarm and taking a nap would be too easy. What we need to learn as bakers is how to gauge our loaves' progress, and to load our bread when an optimal balance of flavor and texture is reached—open-crumbed but not pancake-like, nutty and aromatic but not too funky. If we think back to our previous post on how to make and proof bread dough, we can get an idea of what the yeast is up to here. See, our yeast have been feasting on sugars since we finished our mixing, releasing CO2 and fermenting our flour's sugar into alcohol and other fun stuff. These processes continue up until we bake. During the final proof, our yeast is approaching the end of its food and oxygen supplies, meaning that this late in the game, most of the work our yeast is performing is of a fermentation variety—in other words, developing flavor. However, yeast isn't the only force at work here. Amylases and proteases, our flour-decomposing enzymes, are also having their fun. These forces will have a profound impact on loaf structure. Up to a point, gluten will continue to develop and organize itself, aided by the inflating effects of yeast respiration. However, left indefinitely, acids produced by the yeast and enzyme activity will begin to compromise dough structure. I know, that was just a big can of worms. To refresh your memory, check out our earlier post on how yeast works, which will help all that make sense. In short, if we bake too early—or underproof our loaves—they'll be less flavorful than desired, and won't rise to their full potential. If we bake too late—or overproof our loaves—then we run the risk of developing off flavors, and our loaves may be so inflated with gas that their gluten structure is unable to support them, leading to loaf collapse during baking. So, how do we know when it's time to bake? With a few simple tests and a bunch of practice, we can start to confidently determine this moment. I always start by looking at my loaves. Volume matters. From the time we set our loaves for their final proof they should have increased in volume by at least half. If your loaves have doubled or more, this might mean we're approaching overproofing. Since judging the volume of our loaves can be tricky, I recommend using the same proofing baskets each time you bake until you begin to get a feel for this process. This will allow you to better gauge what changes in volume may signify in terms of dough progression. At the Cleveland, I almost always bake 900-gram loaves of the workhorse recipe, and I proof them in the same bannetons each day. This means that I can see day in, day out, that when my dough begins to rise above the lip of my baskets, we're nearing baking time. From the moment we finished mixing, our dough has been inflating with gas. As we folded and shaped our dough, we organized our gluten so it would better hold gas, and maintain its shape during baking. When we bake, we want our dough to be fully inflated—all the way to the center of our loaves—but for our gluten to still be in charge of the situation. In my experience, the best way to judge this is to press on the center of the loaves with a lightly floured hand. Push firmly but not aggressively. If we've shaped our loaves properly, they should be able to handle this. As the center of the dough is pressed, the edges should billow outwards, like a water-balloon or over-stuffed pillow. Pay careful attention to how much your dough resists your hand. The exterior of the dough will always feel soft, even when underproofed. To get the most lift during baking, we need to make sure that the center of the loaf feels aerated as well. If, when pressed, the dough feels significantly denser in the middle, then it isn't time to bake. But if the dough offers no resistance whatsoever, then you might be overproofing them, and should bake immediately. This is what it sounds like. Poke your loaf. (Boooop!) Your finger should leave an imprint, but that imprint should gently bounce back and mostly disappear in a few seconds. If your finger leaves no impression, then the gluten is still very taught from shaping, and your dough needs more time. If your finger leaves an imprint indefinitely, bake immediately. If you've performed these tests, and your loaves are fully risen, pillowy but secure, and can handle being poked around a little, then it's time to get baking. There are many ways a home baker can set up their oven for bread, and some are more effective than others. In preparation for today's bake, place one of your oven racks as close to the bottom of the oven as it will go, and, if you have a baking stone or Baking Steel, put it on that bottom rack. On top of all that business, load your baking vessel into your big oven, and set the temperature to 500°F (260°C), for at least half an hour before you plan to bake. Bread ovens are great at two things that home ovens aren't: creating ambient heat, and retaining steam. Baking our bread inside preheated Dutch ovens helps us as home bakers to address these concerns and create more delicious bread at home. We'll be doing a full oven-setup tutorial in a future post. I promise. Notes from an equipment junkie: If you went overboard when buying stones and whatnot, you can place your extras on another rack at the top of your oven. If you have spare cast iron lying around, I like to place that in the oven as well. The more heavy, heat-conductive things we place in our ovens during our preheat, the more heat our oven will retain during loading. This will help our loaves rise big and tall. Baking is all about heat. Let's make it happen. With our ovens preheating, full of heavy stuff, and our yeast pre-gaming for their last hurrah, let's take a quick moment to assemble our bread-loading equipment and prepare ourselves to work fast. Need a quick equipment refresher? Read my previous article in which I discuss essential bread equipment. What will we need? Our Dutch ovens are going to be really hot, so start by finding your oven mitts, and/or a large stack of dry towels. These will help keep us from burning ourselves. I use a set of welding gloves because most oven mitts aren't going to offer much at 500°F. I recommend using a combination of the mitts and towels if you don't have high-heat gloves. Next, fill your spray bottle with water and set it on your counter. We'll be using this to create steam inside our Dutch ovens. This will help our loaves rise and form thick, crunchy crusts. Last, choose your weapon. In order to score your loaves—meaning slice open the tops before baking—you'll be wanting something very sharp, and preferably very thin as well. With your oven nice and hot, remove one of your loaves from the fridge and bring it to your loading area. Speed matters here. Working fast will make for bigger, sexier bread. Make sure you know what you plan to do before you begin loading your dough. If a cut comes out wonky, just keep moving. This is another moment where perfectionism will hurt the final product. This takes practice, and control will come with time. 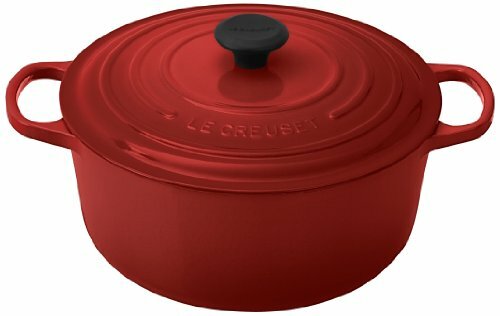 Working quickly to prevent heat loss, grab the bottom half of your Dutch oven and place it on your stove, or whatever heat-proof surface you will be working on. Shut the oven door to keep the heat in, leaving the other half of your baking vessel inside. Carefully flip your proofing basket over the Dutch oven. Your loaf should cleanly and gently flop onto the center of the cast iron surface. With your spray bottle, give your loaf surface a few spritzes. Try to get your loaf from a few angles to promote an even rise. Then, with your scoring tool, quickly and decisively slash your dough. Ideally, you want to slash the loaf from end to end, cutting roughly half an inch deep. Be careful not to burn yourself here. If you want your scores to pull back and create "ears," make sure to hold your blade at roughly a 30 degree angle relative to the dough's surface. If you're new to scoring bread, I recommend making two long scores across the dough surface, roughly three inches apart. Quickly open your oven again and place your Dutch oven and scored dough inside, on your oven's bottom rack and put the lid securely on top. Close your oven, and set a timer for 15 minutes. Then take a deep breath, and make yourself a drink. Nice work, folks. Your bread is now baking. After 15 minutes of baking at 500°F (260°C), gently lift the lid of your Dutch oven to vent steam and heat, just for a moment. The reason we want to vent this heat and steam from our baking chambers has to do with the design of home ovens. See, most home ovens are designed with baking elements on the bottom of the oven. This is why we created our baking chambers so close to the oven floor; our proximity to the heating element helped us to maximize oven-spring. However, as we progress through our bake, and since oven-spring only really occurs in the first 10 minutes or so of baking, our attention as bakers shifts from generating volume in our loaves, to ensuring that our crusts form properly and our crumbs dehydrate and set. Too much steam in the baking chamber will inhibit crust formation; too much heat coming from just one direction in our ovens may cause our bottoms to burn before our loaves properly dehydrate and our crusts brown. Once vented, replace your lid, lower your oven temperature to 450°F (230°C), and reset your timer for another 15 minutes. Continue sipping on that cocktail. After a half hour of baking in our covered Dutch ovens, it's time to uncover the loaf and allow our crusts to color and our loaves to dehydrate. This part of the bake usually takes about 15 to 20 minutes, but will depend on your oven conditions and how dark you like your loaves to be. To prevent the bottom of your loaf from burning, I recommend stacking the bread-filled half of your Dutch oven on top of its lid, if such an arrangement is stable. If that won't work, slide another rack into your oven just above your stone, and place your Dutch oven on top of that, to provide some insulation from the directional heat coming from the bottom of your oven and stone. So. You just baked the workhorse loaf. But what actually happened and why'd we just do all that stuff? For the uninitiated, we're about to talk chemistry. We all know that it takes heat to make bread. But what is it that heat does to dough? And how does that transform dough into bread? Let's start by talking about oven-spring, and work from there. Up till now, all of the love and attention we've given our dough has been for the purpose of creating a happy environment for our yeast and gluten, allowing our dough to become inflated and gaseous. But as many of us know from experience, the inflated balls of dough we load into our ovens grow even more during baking. This last, final expansion of our dough is called oven-spring. But what causes oven-spring? A few, crucial things. As Emily Beuhler, author of Bread Science, explains, oven-spring occurs primarily during the first 10 minutes of baking. During these 10 minutes, the yeast—feeling the coming heat—speed up their fermentation and respiration, belching out a final burst of CO2. As that CO2 heats up, what was dissolved in our dough's water comes out of solution. Like any gas, the CO2 in our dough expands as it heats up. This same process occurs with the ethanol created by fermentation and a portion of the water mixed into our dough—i.e., they evaporate and expand upon heating. Since these gases are trapped inside our dough by the gluten matrix we formed during our mixing and fermentation stages, as they expand, so does our bread. It's this expansion that causes our dough to leap upwards and outwards while in the oven. This is what oven-spring is, and we want as much as we can get. But if we want our dough to expand along with the vaporized gases created in our oven, why score our bread at all? Won't that hurt oven-spring? Glad you asked. In addition to making our loaves look pretty, scoring performs an essential function during baking. See, we want the gases trapped in our dough to expand during baking in order to create oven-spring, but we also want want to let them escape in a controlled manner before they expand too much, which could cause our gluten matrix to rupture and collapse before it's had time to fully set and hold its shape. Scoring is what allows for these controlled avenues for both expansion and evaporation. Think about your loaf of bread as a big net wrapped around thousands of little balloons. As those balloons begin to inflate, they take up more and more space, and because of a thing called the square-cube law, the space that they take up expands faster than the surface of your loaf (i.e., the net) can handle without either a) constricting their growth or b) forcing some of them to pop. Without scoring, the gases—like those dinosaurs in Jurassic Park—would find a way out of their pens. In baker-speak, this is called rupturing, and it occurs most commonly in lightly scored and underproofed loaves of bread. By creating channels for rapid growth to occur (as well as controlled spaces for any excess steam or over-expanded gases to vent), scoring solves this problem and allows our loaves to rise fully. With respect to aesthetics, bakers often use different scoring patterns both to control final shape and as a sort of signature on their loaves, a practice which dates back to communal ovens used by towns in Europe during the Middle Ages and afterwards. In the pictures shown, I make what I call a pinwheel score, which opens up a similar portion of the dough surface as two straight scores will, and helps my coworkers at The Cleveland know which loaves are which. (With multiple kinds of bread floating around, I use scoring as a means of communication. Our white bread is always a pinwheel pattern, which helps the line cooks know which loaf to grab in a hurry). I can hear you asking: What's steam got to do with all of this? Here's the skinny. Steam serves three main functions during baking. First, steam is a much better conductor of heat than dough is. As Harold McGee notes in On Food and Cooking, introducing steam into our baking chamber during the initial phases of baking allows the dough's surface temperature to increase much more rapidly than it otherwise would. This in turn enables the conductivity of the gases and water present in our dough to heat up faster, all the way to the center of our loaves. Secondly, although the steam re-evaporates quickly, the added moisture in our baking environment keeps the dough surface pliable, ensuring that oven-spring can happen with as little resistance as possible. The result of both of these processes is more oven-spring. The third consequence of steaming loaves has to do with crust formation, which brings us back to heat transfer, and is related to processes anyone who has ever cooked or burned anything has experienced. See, when the crust forms on the outside of a loaf of bread, we're effectively searing it, just as a cook does with a steak. This means that our starches are being broken down into simple sugars and caramelizing. Also, the proteins in our gluten matrix are being busted apart into simpler amino acids, which then recombine with other molecules present in our dough, which then form thousands of other compounds that we call delicious. The latter are called Maillard reactions, and, since they generally occur at higher temperatures than caramelization reactions, they are responsible for the majority of hearth loaves' unique crust character and flavor. * As far as steam goes, the steam's ability to expedite the transfer of heat to our dough's surface gives us a more pronounced system of Maillard compounds, resulting in a thicker, more flavorful crust. * The temperature differential between baking hearth breads and baking a bread like challah, or baking cookies, is part of what accounts for the differences in their exterior texture. The latter are both baked at lower temperatures, where sugars caramelize readily but proteins remain largely intact. Finally, when we bake bread, the starches in our flour—which, as we mentioned in previous posts, form the majority of our flour—gelate, meaning they absorb water and solidify. As Emily Beuhler and Harold McGee discuss, this process is what offers bread its final structure, and forms the majority of what we actually eat. This process begins around temperatures of 140°F (60°C) and continues up to temperatures of around 180°F (82°C). This part of the baking process is why it's reciprocally important to let our loaves cool before slicing, or we end up eating gummy-feeling bread. If you're baking bread as you read this, they're all dead by now. They died at 140°F or so, but not before throwing a rage of a party. Cheers to friendship! So, how can we tell when our loaves are done? In general, bakers have three means of deciding this: color, feel, and sound. As Maillard and caramelization reactions occur, our crusts will continue to darken. How dark you like your loaves to be is a matter of taste. The darker the loaf, the better it will hold its crust and the more intensely flavored it will be. I like to bake mine very dark. When your loaf has reached the color you want, with gloved hands, pick the loaf up out of the Dutch oven. It should feel light in hand. If it feels heavy, but looks as though it experienced significant oven spring, dial your oven down to 400°F (200°C) and allow it to continue baking for another 10 minutes. While you're holding your loaf, tap on the bottom. If it sounds clearly thumpy and hollow, then your loaf is done baking. If the thumping sounds dampened and muffled, then you still need to cook more water out of the loaf. As with above, dial your oven down to 400°F and bake for another 10 minutes. If your loaf is done, congratulations! Set it to cool on a wire rack, and preheat your oven for your next bake. And that finishes up our conversation on baking. For more reading, I highly recommend Chad Robertson's books, as well as the bread blog Girl Meets Rye—both of whom heavily influenced the ways I bake, and this post in particular. In our next post, we'll be discussing what happens when bread is cooling, but most importantly, we'll talk about how to autopsy our loaves, and read the fortunes in the crumb for advice on how to troubleshoot future bakes, and learn from our experiences.